We love it when our favorite stars become a celebrity couple. However, sometimes the celebrity relationship doesn’t last and they have to go their separate ways. Some of our favorite celebs even had celebrity weddings and children together. That doesn’t mean we can’t remember the good memories though. Here’s to nostalgia and wishful thinking! 1. 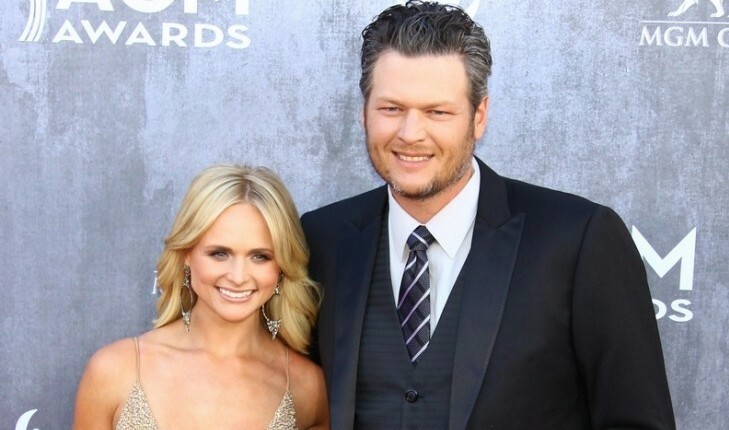 Miranda Lambert & Blake Shelton: They were the cutest country couple! Miranda Lambert and Blake Shelton are both country music artists, singers and songwriters. They were a match made in heaven. Their celebrity wedding was beautiful and we loved it when they performed songs together. Sadly, they got divorced. However; they left us with a lot of great music! 2. Taylor Swift & Taylor Lautner: Who could forget Taylor and Taylor? People loved to joke that if they got married, their names would both be Taylor Lautner. The singer, Taylor Swift, and the actor, Taylor Lautner were a pretty pair. They even participated in the film Valentine’s Day together, and it was awesome. Sometimes young love doesn’t last though, but it was fun while it lasted! 3. Selena Gomez & Justin Bieber: Remember the height of the Bieber Fever? Pop singers Selena Gomez and Justin Bieber were a hot item. Their relationship took several twists and turns in the media. Fans loved that they were together. Even though the celebrity relationship ended in a break-up, they still have respect for one another and are proud when the other person accomplishes something. Luckily, they’ve both come out with catchy songs for us to jam to! 4. Reese Witherspoon & Ryan Phillippe: Reese Witherspoon is America’s Sweetheart. When she met Ryan Phillippe while they starred in the cult classic film, Cruel Intentions, they hit it off. He attended her birthday party and she said to him, “Are you my present?” So cute! They had a celebrity wedding and have two children together. Sometimes good things come to an end so better things can fall together. They both co-parent as a family unit and have moved on. However; they were the ‘it’ couple for several years. 5. Gisele Bundchen & Leonardo DiCaprio: Gisele Bundchen is the highest paid supermodel in the world. She was also famously a Victoria’s Secret angel. When she dated, Hollywood heartthrob, Leonardo DiCaprio, it was the most beautiful couple ever. He is known for dating supermodels but their relationship actually lasted a few years. The pair remain good friends though. When she gave birth to her babies with Tom Brady, he even sent her a gift. See, sometimes you can be friends with your ex-partner! What celebrity couples do you want to reunite?